Home » Crafts, Sewing, & Home Decor » Sewing » SPONSOR/GIVEAWAY time again!! Yes, the year is halfway over and it’s time to celebrate Christmas in July. Ooooh, this gets me excited for red and green decorations, fragrant pine trees, sweet aromas in the kitchen…….man, the list goes on. This next sponsor is going to get you in the mood too. Do you hear the jingling bells? Emilee from Sweetly Made was taught how to knit by her grandmother several years ago. She decided to learn how to make stockings so that she could gift them to other people. Emilee quickly fell in the love with the art and challenge of it and has been knitting ever since. 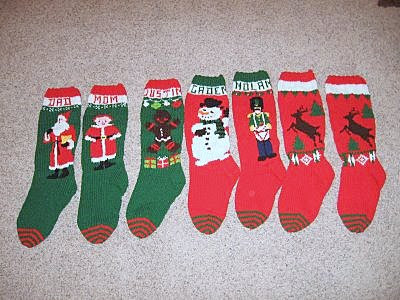 I mean, come on……who wouldn’t melt having their own completely unique hand-knit stocking hanging from the fireplace? It makes me feel all cozy just thinking about it. And the variety Emilee comes up with is going to astound you. She really does make these all by hand. Wow. Just think…………you can have a customized stocking for each member of your family. Or how about something completely unique to someone’s personality… Do you have a little princess in you family? 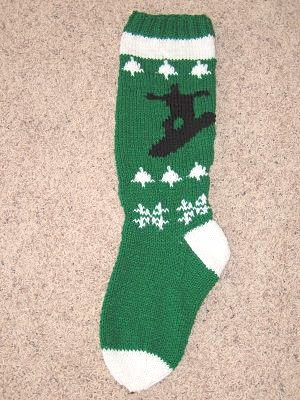 Or how about a snowboarder? And check out the front and back of this darling Hawaiian themed stocking. Just Perfect. Click here to find them in her etsy shop. She even has a few boy colors available. And also makes flower clips that look great on or off of one of her beanies. Gosh, I love a little baby in a sweet beanie. Emilee has her blog here, stocked full with pictures showing off some of her past creations and custom designs. She loves custom orders and is ready to make whatever your little imagination comes up with. If you’d like to order a stocking, you can fill out a form on the left sidebar of her blog or click here. She also has an etsy shop found here, where she has all of her beanies and flower clips listed. Wow, such fun colors and styles. **Please note: The format for entering giveaways has changed. You must enter in a separate comment for each entry. (Example: If you’d like 5 extra entries for visiting a shop, you must enter 5 different comments, in addition to any other entries/comments.) This will help me out immensely. Typing out every entry was becoming a full time job all itself. :) Wow. But such a great thing that so many are participating. So thanks. Go on over to www.emileeschristmasjoy.blogspot.com and browse around for a while and pick your very favorite item. Tell me your favorite in your comment. And as always, Sweetly Made (Just for You) can be found on my left sidebar at all times. Thanks Emilee! Wow, you have beautiful talent and a knack at getting us all in the mood for Christmas. Love that. Those hats are so cute. I love the Little Drummer boy stocking! I like the flower clips for little girls hair! Your link is on my blog. Would love this for my niece. Beautiful. Thanks for the giveaway. I love reading your blog everyday. Wow- what a talent to be able to crochet like that! I am a follower of your blog- I love all that you do. I love the rudolph stalking- how cute! But the beanies are so adorable as well. 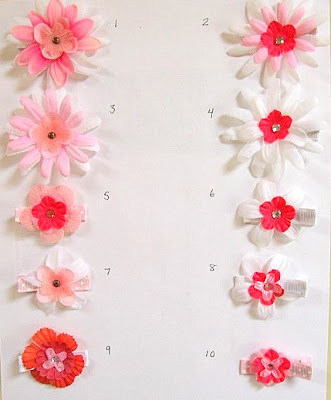 Yes, the little flower clips are so sweet and can be used on so many things! aww what a cute hat! Perfect for my little girl! I love these!! I wish I had that talent! So cute! Kara Burns : I am a follower!! Kara Burns; I also have your button on my blog! Kara Burns; I love the country spring beanie. Beanies are my favorite!! I love those hats with the flower! I think that is the cutest thing ever!! Here is my comment, I follow, I have your button on my blog, and my favorite item is the beanie! I would love to get one of those for my daughter, so cute! Very beautiful. Thanks for the chance. from her blog, I love the little beanies and the flower attached would look so cute in the winter time!